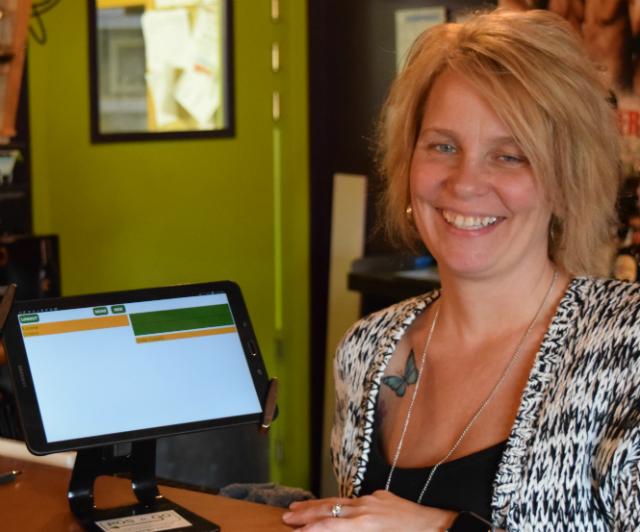 Using POS-n-go in both the restaurant and the pub for the last year, Korene Molloy remains super satisfied with POS-n-go as her point-of-sales system. “POS-n-go has been, honestly, the best thing I ever took on as a business owner with a POS system. I would never ever run another business without it,” she said. Molloy’s initial attraction to POS-n-go was two-fold: it was local, built and supported in Kimberley, and the cost. Her previous experience with other food service POS systems was not positive particularly when she factored in the cost, usually three times the POS-n-go monthly cost, and lack of local support. They never answered her customer support requests. Based on her experience, it only takes a few minutes to train new staff and get them up to speed running POS-n-go. The other big time-saver for Molloy is the high-end financial reporting that POS-n-go provides. For Molloy, “Time is more valuable to me right now than money, [POS-n-go] saves tons of time” on accounting and bookkeeping. She estimates the time savings to be 6 to 8 hours per month. With the sync box installed, Molloy will soon be able to take advantage of the pay-at-table function built into POS-n-go. “I’m pretty excited to have that feature,” she said. Currently wait staff take the debit/credit machine to the table for payment. Once that is complete, staff must walk back to the POS-n-go terminal to manually clear the transaction. Once the pay-at-table is up and running, server staff will be take a payment at the table and once it is confirmed by the Pivatol payments, it communicates with POS-n-go to post the transaction as complete. The whole payment process takes place in the blink of an eye. Every transaction detail, including taxes, are accurate down to the penny. POS-n-go is all about making your business operate at the speed of light. Broken Paddle & Canoes ‘N Brews is located on the corner of Mark St. and Wallinger Ave. (Highway 95A) in Kimberley. Live music Saturday nights and Karaoke Sunday nights.